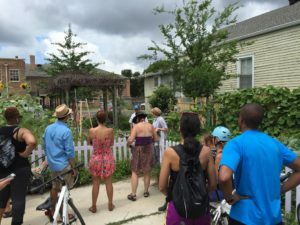 It’s time for our 2018 Urban Farm Bike Ride! 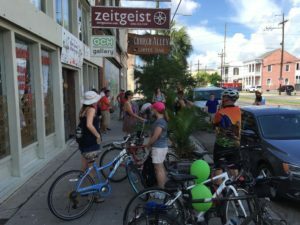 This is our 6th year of doing this collaboration with the Eat Local Challenge and NOLA Social Ride, and we are excited to announce that we will be rolling again. 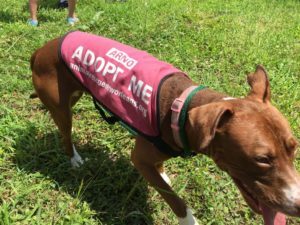 We’ll be meeting up at Markey Park at 9 a.m., and leaving at 10. 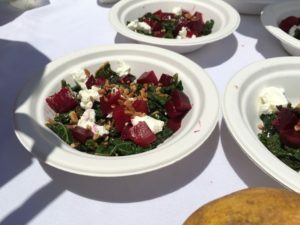 We will be ending at River Queen Greens (1020 Kentucky St.), and there will be a free light local lunch (sourced from the farms that we’ll be visiting) that pop-up BeetsNthyme will be preparing for us! The ride will be slow-paced and under 10 miles. No tickets or signups are required, but please RSVP on the Facebook event (https://www.facebook.com/events/2057235157880344/) if you plan on coming so we can be prepared! This is a community bike ride organized by local volunteers, so you are responsible for yourself and your bicycle at all times! Many of the farms will be selling produce, so please bring bags if you wish to purchase some – you can store your produce in a cooler inside of our SAG truck! 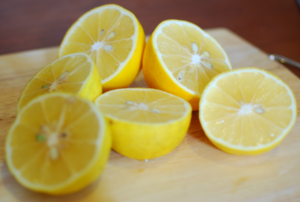 Some of the farms may have refreshments available for donation – if you’d like to contribute, be sure to bring along some cash. As always, we will be passing by and pointing out as many smaller gardens as we can. This event is free and open to the public. Please be prepared, and bring your own supplies! We will have someone driving a truck to carry supplies from stop to stop. Please make sure your bike is in working order, and bring basic repair items such as a tube, pump, wrenches, patch kit, etc in case of any mechanical issues. Please note that everyone is individually responsible for safe operation of their bicycles and for following all traffic laws at all times while on public streets. Ample time has been included in the schedule to ensure that everyone can travel at a comfortable pace. Personal safety equipment (helmets and lights) are encouraged. A live tracker will be posted for anyone that wants to catch up and join at any point! 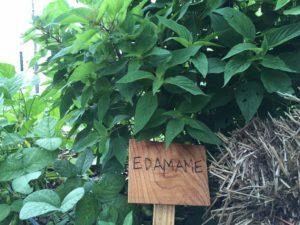 We look forward to exploring many pockets of local edible flora on our most sustainable, efficient method of travel available: Pedal Power! 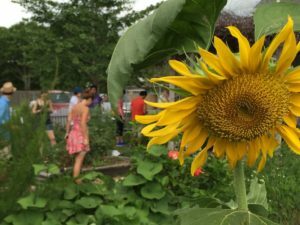 Come discover a few of our many local urban gardens and farms! 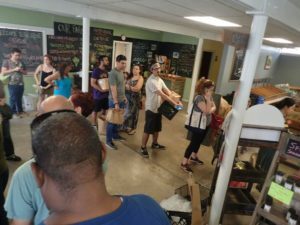 On Monday, February 26th, New Orleans citizens were hit with hard news: after nearly ten years of operation, Hollygrove Market & Farm announced it would be closing its doors. 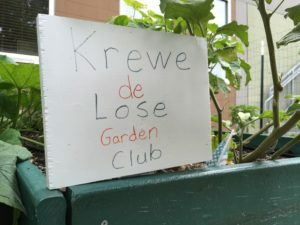 They offered a glimmer of hope in a revival, but additional news coverage detailing the mounting debts of the organization make it seem highly unlikely that the hub of local food in New Orleans can come back to life. 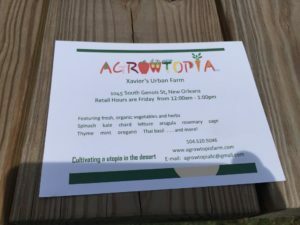 Hollygrove Market & Farm strived to set the precedent for what local food needs to be: accessible to all. 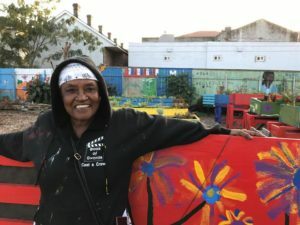 Whether or not they achieved their goal is another subject matter, but for the past ten years they’ve been selling local vegetables, fruits, and food products in an area that is a food desert, and they offered discounts to residents in the neighborhood. Over the years, they slowly changed their hours of operation to being open every day of the week. 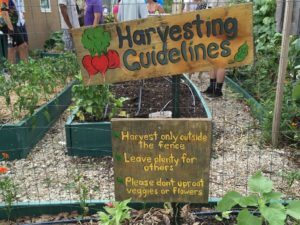 This past year, they introduced workshops on how to grow your own food and other do-it-yourself programming. The organization delivered their $25 boxes filled with vegetables and fruit to over 100 households every week. If people needed free food they could get a box in exchange for volunteering at the market for four hours. 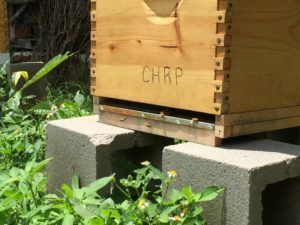 Hollygrove also had a farming apprenticeship program, and many community gardening plots. The staff at Hollygrove were slated to take over the Eat Local Challenge this year. 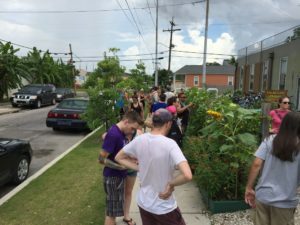 Last June, Why NOLA Farms and the NOLA Social Ride began and ended the annual urban farm bike ride in conjunction with the Eat Local Challenge at their farm and market. Where do we go from here? 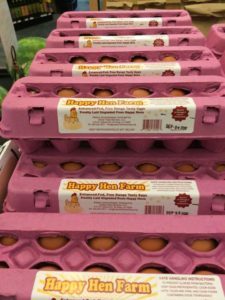 Who’s responsibility is it to ensure that the local food economy continues to thrive here? 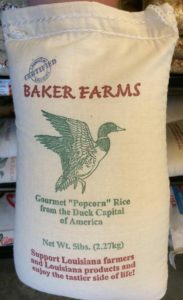 What will become of the farmers who depended on this market’s existence for revenue? What can WE do? I’m not sure what the answer is yet, but I know that I will now be making more of an effort to support our local farmers markets. 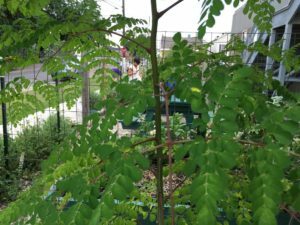 Instead of having access to local food 7 days a week, we will have access to it only 5 days a week now. 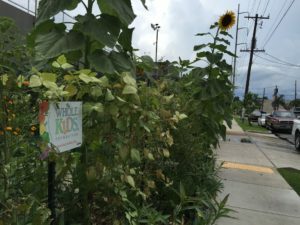 Why NOLA Farms will be continuing the tradition of the urban farm bike ride. 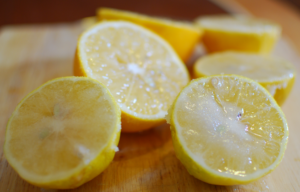 You can expect for this blog to become much more active. 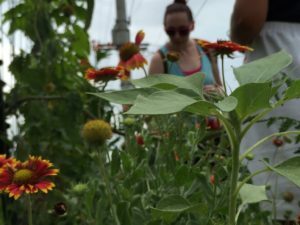 There are lots of gardeners and farmers in this town, there are likely more than you realize. It’s time that we supported their community events more. If you’d like to see what events are happening, visit the Community Events calendar on this website. Please contact us if we are missing any events. Thank you Hollygrove Market & Farm for everything that you have done for the community over the past decade. It’s time that we citizens step up to continue the legacy of what Hollygrove Market & Farm started. We need to engage in our community more. 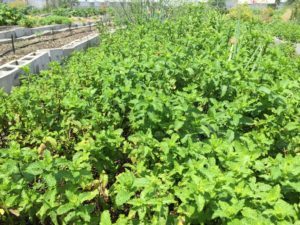 We need to grow our own food. 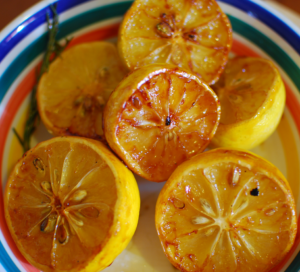 We need to attend farmers markets and workshops. 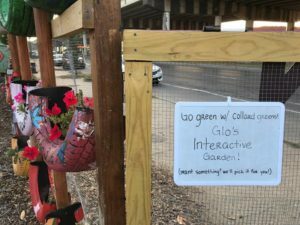 We need to help and revive our community gardens. 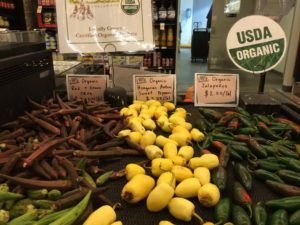 We need to keep the dialogue of local food needs open. I look forward to seeing you all out there. 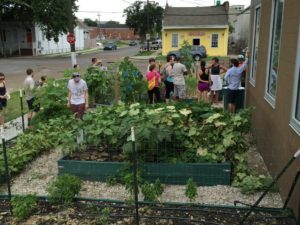 While August is traditionally the month that many New Orleans residents go into hiding indoors to seek the comforts of their air conditioned homes, there are still lots of workshops and events happening in the gardening/eating local scene. Be sure to go out and support these organizations and businesses if you can! 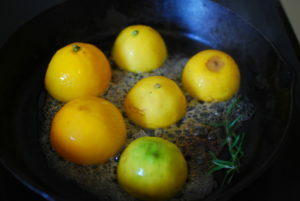 Workshops: This month, Rosalie Apothecary has lots of workshops for participants to choose from. 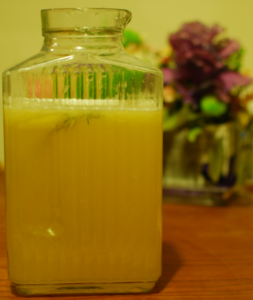 Rosalie kicks off two different kinds of class series, the Heart of Herbal Medicine, which happens every Wednesday evening from 7 to 9 p.m., and the DIY Fermented Food Series, which occurs every Monday from 7 to 9 p.m. Class subjects are comprehensive, and you can learn about how to make tinctures and syrups with local herbs, or how to make water kefir, kombucha, yogurt, and more. Check the calendar to view all of their class offerings, or go to their website. 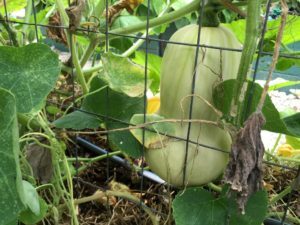 On Saturday, August 12th, head over to City Park’s Botanical Garden at 10 a.m. to learn more about how to plant a fall vegetable garden. 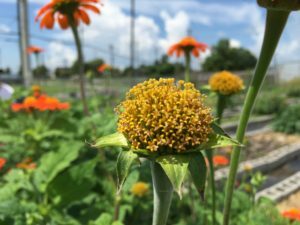 If you’re interested in learning about how to grow flowers year-round, head over to Hollygrove Farm & Market at 1 p.m. for Joanna Sese’s workshop, of Honey Pop Flowers. 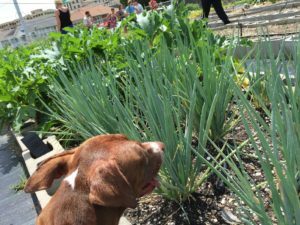 At Longue Vue House and Gardens on August 26th, young children can learn about seed planting, dig for worms, and taste vegetables at the Kinder Garden event. 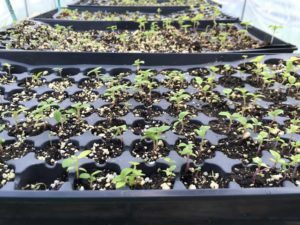 Parties: Also on Saturday the 12th, Grow On is hosting their first-ever Pepper Fest! Try samples of different pepper varieties, listen to some music, and grab some food and cocktails. 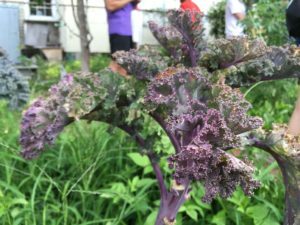 Every Sunday, Hollygrove Farm & Market hosts a brunch in their garden from 9 a.m. to 1 p.m., featuring a different food pop-up vendor each week. Markets: While the Wednesday Crescent City Farmers Market and the Creole Marche are on a summer break, you can still attend one of the Crescent City Farmers Markets on Tuesdays, Thursdays, and Saturdays, as well as the Refresh Farmers’ Market on Mondays, and Sankofa’s Fresh Stop Market on Saturday mornings. 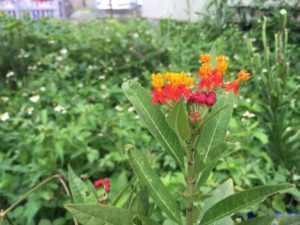 Plant Sales: City Park will be hosting their monthly plant sale on August 5th, from 9 a.m. to 12 p.m. 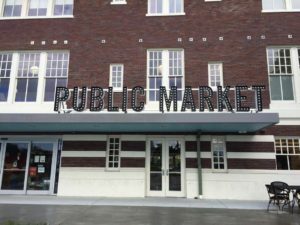 It was a cloudy, dreary day outside when I stepped into the newly restored Dryades Public Market in Central City. I quickly forgot the state of the weather once I had a look around the space, however. The giant market has an open space concept, and everything is gleaming and new. The market is still slowly unveiling different sections, but they still offer an impressive array of items. 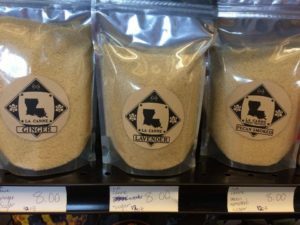 From the fresh pasta bar and bakery, an oyster bar with beer on tap and a cocktail menu, a produce and deli section, and lots of friendly staff roaming about, the market has something for everyone, and lots of options for folks who love to support local Louisiana products and produce. 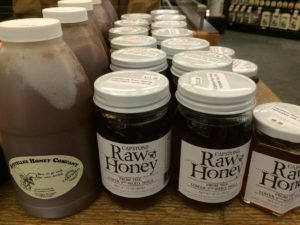 The market intentionally focuses on providing affordable and local food options for nearby residents. 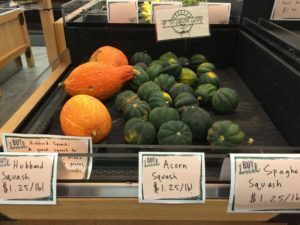 I was overjoyed to discover local products I’d never seen, and was particularly excited about the squash and mushroom selection! Do you like mushrooms? So far, Dryades Market has the largest selection of local mushrooms that I’ve seen in a grocery store! 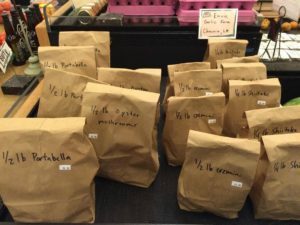 You can choose from portabella, oyster, cremini, or shiitake mushrooms, all from Envie Garlic Farm in Chauvin! 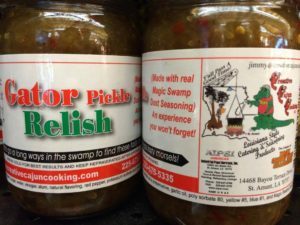 Gator relish from Creative Cajun Cooking in St. Amant! 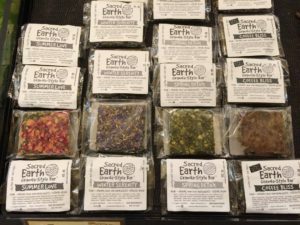 They sell four different kinds of the incredible Sacred Earth Granola Bars from Mandeville! These items were just some of the local food products they had. 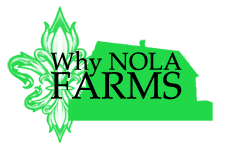 I look forward to discovering more local food at their market, as well as at other grocery stores in New Orleans! 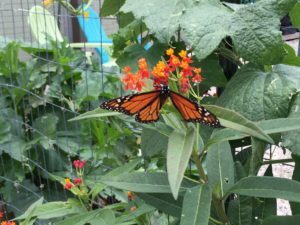 As the much-anticipated autumn season approaches us, garden and farm events are gearing back up once again for new workshops and events. The events calendar for the fall is starting to fill up, and it has something for everyone! 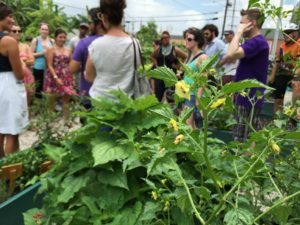 Classes: Southbound Gardens will be offering their $10-by-donation classes once again, but for the next two months, they’ll be partnering up with Whole Foods and hosting their classes at various Whole Foods locations. 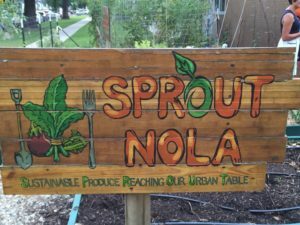 SPROUT NOLA will be presenting a gardening class in Spanish on Saturday, September 10th, and they will also host a Family Gardening class in conjunction with the Friends of the Lafitte Greenway on Saturday, September 17th. 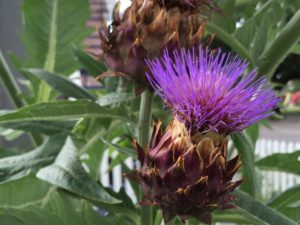 Plant sales: There will be three plant sales happening this weekend (Sept. 10th & 11th)! Two of them take place on Saturday morning, and they’re just blocks away from each other so you can easily catch both of them. 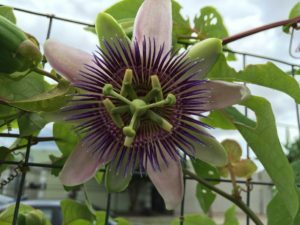 Recirculating Farms is hosting an end of the summer sale, while Parkway Partner’s monthly Second Saturday event also features a plant sale, along with an educational speaker. 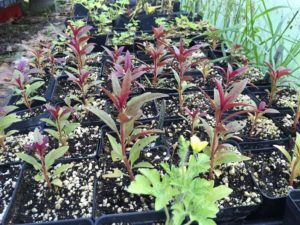 Southbound Gardens will be selling their plant starts once again at the Crescent City Farmers Market on Thursday or every other Saturday, or at their Uptown greenhouse every Sunday afternoon. 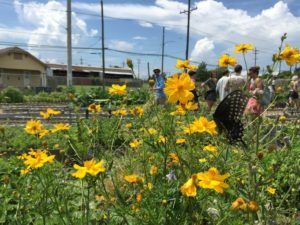 Volunteering: Volunteer for Veggies, in English or Spanish, at the ReFresh Community Farm in Mid-City! In English: Wednesdays mornings and Friday afternoons (happy hour version!). In Spanish: Tuesday afternoons. 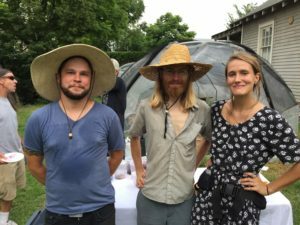 Events: Also on September 10th, the 4th Annual Downriver Festival at the Old U.S. Mint features tastings and lectures on the oyster, and Grow On farm will be hosting a farm party with eats from the farm, music, and drinks. 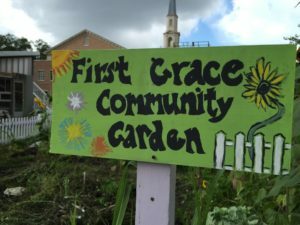 Paradigm Gardens will begin their outdoor garden concert series once again on September 20th, with restaurants Coquette, Patois, and Primitivo cooking from the open kitchen, while Courtyard Brewery, Spirit Wine, and Swamp Pop will be providing libations, and Hansen’s Sno-bliz will be serving up their famous snoballs. 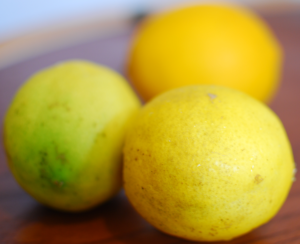 Markets: Be sure to catch one of the Crescent City Farmers Markets on Tuesday, Thursday, or Saturday, or attend ReFresh Community Farm Stand on Monday evening. For more information on the time and location of these events, go to the events calender here.